Ever wondered what cryptocurrency mining is, how it works and what you need to get started? 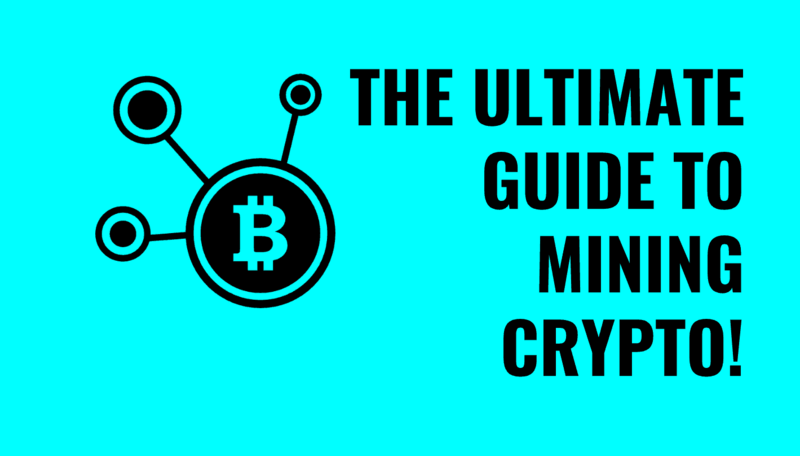 This guide will teach you everything you need to know about mining cryptocurrency. Disclaimer: There’s no affiliate links or ads on this page. This guide is purely educational. 1. What Is Cryptocurrency Mining? 2. What Is Proof Of Work? 3. 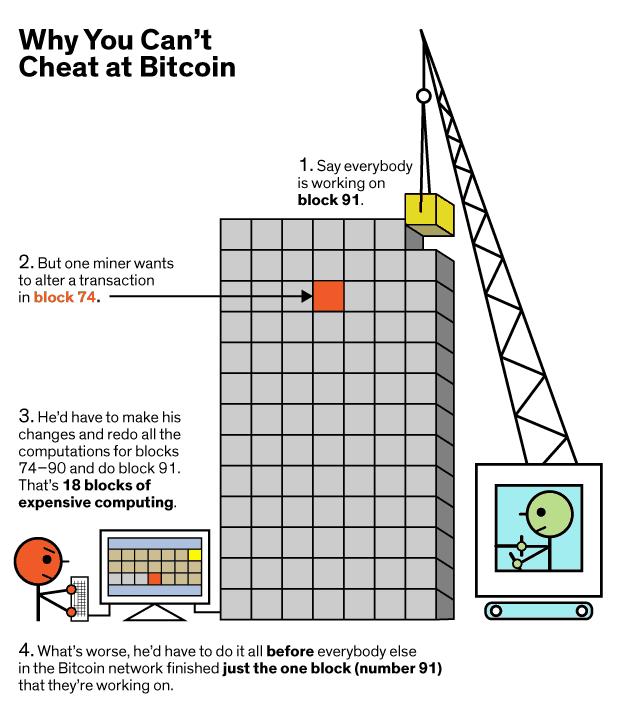 Example: How Mining Bitcoin Works. 4. What Do You Need to Mine Cryptocurrency? ​5. Benefits of Mining Cryptocurrency. 5.2. The Potential Of Cryptocurrency. 5.3. You Can Become Your Own Boss. 6. The Disadvantages Of Mining Cryptocurrency. 7. Proof Of Stake Vs Proof Of Work. 7.1. The Difference Between POS and POW. 7.2. Advantages of Proof of Stake. 7.3. Disadvantages of Proof Of Stake. 8. FAQs About Cryptocurrency Mining. 8.1. What Cryptocurrency Is Worth Mining? 8.2. Why Does Cryptocurrency Mining Use GPU? 8.3. How Much Can You Make Mining Cryptocurrency? 8.4. What Is Cloud Mining Cryptocurrency? 8.5. How Long Will Cryptocurrency Mining Last? The easiest way to understand cryptocurrency mining is that it isn’t mining in the traditional sense of the word. Mining is a way of validating transactions on the blockchain. Instead of someone at a bank or a clearing house making sure transactions are legitimate, people who run mining software (miners) do this job instead. While someone at a bank might get paid a salary, miners are rewarded for their work in the form of cryptocurrency. Miners validate transactions on the blockchain through a process known as “proof of work”. Proof of work for a given transaction is data that is hard to replicate but easy for others to verify. 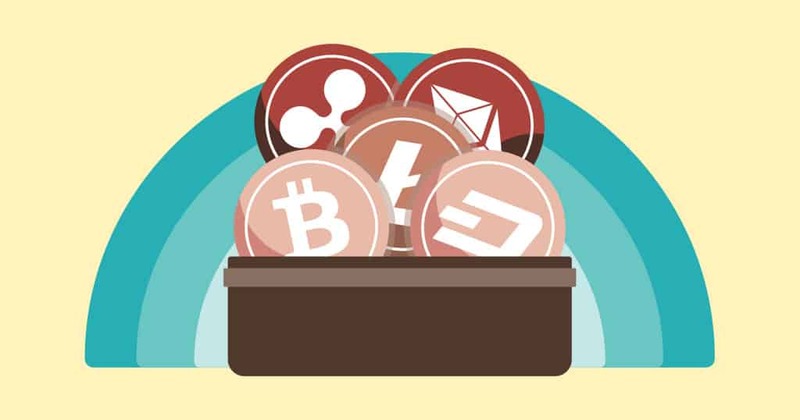 Some notable cryptocurrencies that use proof of work include Bitcoin, Ethereum, Bitcoin Cash, Litecoin, Dash, Monero, Ethereum Classic, Bitcoin Gold, and Dogecoin. So how does cryptocurrency mining work in practice? A long time ago, you could mine Bitcoin with your personal computer. However, this is no longer the case as the difficulty of mining Bitcoin has increased dramatically. These days, you need specialized mining hardware known as application-specific integrated circuits (ASICs) to have a chance when it comes to mining Bitcoin profitably. This is because mining Bitcoin requires a lot of computing power (hashrate) – and a personal computer, phone, or other non-ASIC simply won’t cut it. 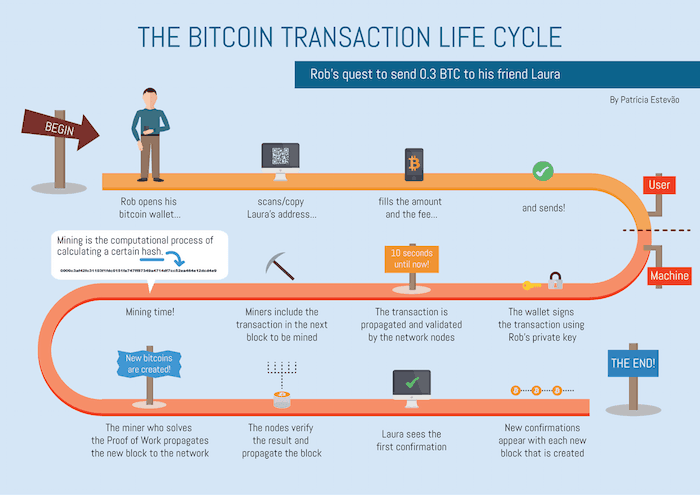 Transactions on the Bitcoin network are grouped into blocks (groups of transactions). It’s up to miners to add these blocks to the blockchain (group of blocks which acts as the record book for all Bitcoin transactions ever). Remember what we said about needing an ASIC that has a high hashrate? That’s because the more hashrate that you have, the more hashes you can perform per second. Hashes are guesses at the “nonce” for a given block. Note: A nonce is a string of random numbers, that when found, allows a block to be added to the block before it in the blockchain. This work – the nonce – is hard to replicate but easy to verify (since every nonce ties a new block to the block before it). An easy way to think of this is to think of having to find the correctly shaped connecting Lego piece (nonce) to attach one Lego piece (new block) to another (previous block). The more hashrate you have (as a percentage of the total Bitcoin network’s hashrate), the higher your chance of finding the right nonce. The miner that finds the correct nonce adds the new block to the blockchain and is rewarded with Bitcoin for their efforts. As stated, the miner that finds the correct nonce to add a new Bitcoin block to the blockchain gets rewarded in Bitcoin. This “block reward” changes over time. Initially, when Bitcoin was created by founder(s) Satoshi Nakamoto, the block reward for a single block was set at 50 BTC. The block reward halves every 210,000 blocks. Every block until block 210,000 had a reward of 50 BTC, whereas 210,001 and on had a reward of 25 BTC. After block 420,000, the reward decreased to 12.5 BTC per block. Given that blocks are mined every 10 minutes or so, about 144 blocks are mined per day, which is 52,560 blocks per year. This means that it takes about 4 years (210,000 blocks / 52,560 blocks per year = 4 years) for the block reward to halve. While it may be tempting to jump right in and start mining cryptocurrencies like Bitcoin, you should realise that there are some limitations. Mining and proof of work require powerful computing hardware, and a lot of energy. In the case of Bitcoin, the computational power (hashrate) required doesn’t come cheap. A single ASIC miner can cost hundreds or even thousands of dollars. That alone places a damper on the mining dreams of many. Not only that but as the price of Bitcoin has risen, so has the complexity of mining operations. What used to be a game for hobbyists is now a highly competitive industry. These days, miners aren’t necessarily your average person running mining software on his laptop or even ASIC (or two). There are large-scale mining farms with hundreds, if not thousands, of miners running simultaneously. What does this mean for the solo miner who tries to mine Bitcoin by him or herself? The chances of finding the correct nonce for a given block are slim-to-none. The exception would be if you invest in tons of ASICs or join a mining pool. Mining pools “pool” computing resources and share profits amongst their members. Moreover, all of this computing requires tons of electricity, which can of course be expensive. 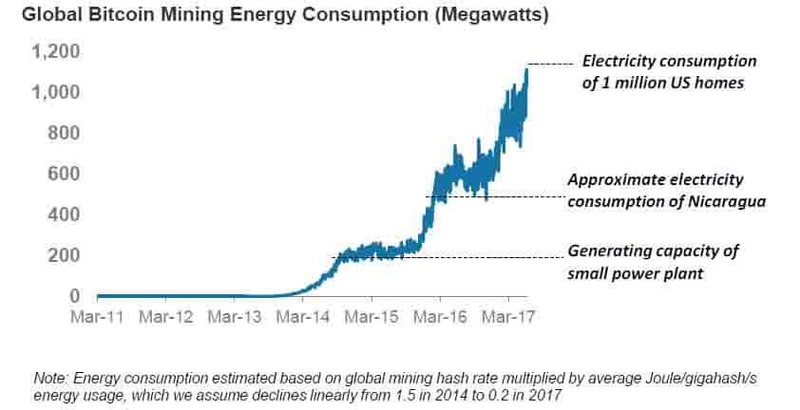 Because of high electricity costs, Bitcoin mining, for example, is largely done in places with cheap electricity like China. Also, unless you are mining in a naturally cool locale, such as Iceland, which also benefits from cheap geothermal and hydroelectric energy, you also need to account for cooling costs, as ASICs run hot! Nevertheless, if you’re interested in what it takes to mine, keep reading to find out what you need to mine cryptocurrency. When you successfully mine cryptocurrency, you need a wallet for storing your block rewards. Continuing with the example of Bitcoin, there are many types of Bitcoin wallets, such as web wallets, mobile wallets, desktop wallets, hardware wallets, and paper wallets. Web wallets include the likes of Internet-based wallets and exchanges. You should never store large amounts of cryptocurrency on web wallets long-term as web wallets can be hacked. Examples of web wallets include GreenAddress and Coinbase(exchange wallet). Mobile wallets are wallets that are accessed via your phone. While convenient, the wallet is only as safe as your phone. If your phone gets compromised, you’re out of luck. Luckily, if you lose the mobile wallet, you can restore your cryptocurrency on another wallet using your private key(provided that the original wallet provided one). Desktop wallets are similar to mobile wallets except that you access them via your desktop or laptop computer. Hardware wallets are considered to be very secure (compared to the wallets just mentioned), as your private key never leaves the device. (Your private key gives access to your funds). The Ledger Nano S is arguably the most popular hardware wallet and supports various cryptocurrencies including but not limited to Bitcoin, Bitcoin Cash, Bitcoin Gold, Ethereum, Ethereum Classic, Litecoin, Dogecoin, Zcash, Ripple, Dash, NEO, and Stellar. Paper wallets are usually considered the most secure type of wallet and usually entail printing your private key on a piece of paper then storing it somewhere safe. Paper wallets are more suited for long-term storage, when you won’t be touching your cryptocurrency for a while. Bitaddress can be used for creating Bitcoin paper wallets. Once you’ve picked a wallet for storing your mined cryptocurrency, you need to decide on mining software. While mining hardware, such as Bitcoin ASICs, are responsible for performing the actual computing needed for proof of work, mining software is what connects hardware to the Bitcoin blockchain (and mining pool if you are part of one). Software sends “work” to mining hardware and from mining hardware back to the blockchain and mining pool. Mining software may also display various statistics like your hardware’s hashrate, fan speed, temperature, and average miner’s hashrate on the cryptocurrency’s network. As previously mentioned, users can pool their computer power together in order to form “pools”, which then split profits amongst their members. 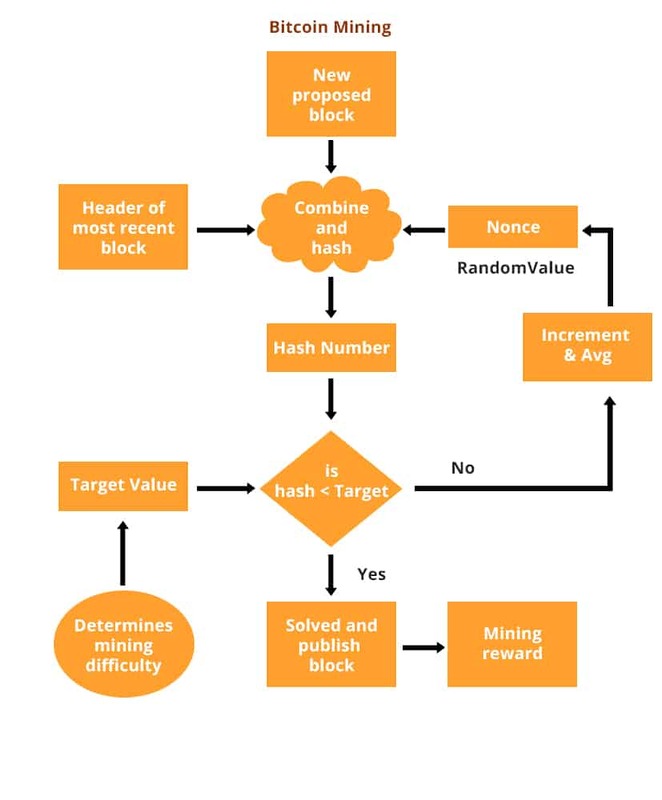 By combining their hashrate, a pool has a higher collective hashrate, which means that it has a higher chance of finding the right nonce for a given block. As for the individual, by joining a pool, a miner gains to benefit from more consistent (but smaller) payouts. It’s consistent because a pool finds more nonces but also smaller, because block rewards are split amongst members of the pool. If you want to sell your mined cryptocurrency, the easiest way to do that is by joining an cryptocurrency exchange. Popular exchanges include Coinbase (user-friendly but higher fees), Binance (cryptocurrency only), and Bitfinex. Of course, if you want to be communicating with the blockchain in real-time, you need a fast and reliable Internet connection. Depending on the cryptocurrency, you need different types of mining hardware. For Bitcoin, you’ll need an ASIC (to be anywhere near profitable). For other cryptocurrencies, you might be able to mine using your own computer. In the case of Bitcoin, ASICs run hot and can make a lot of noise. 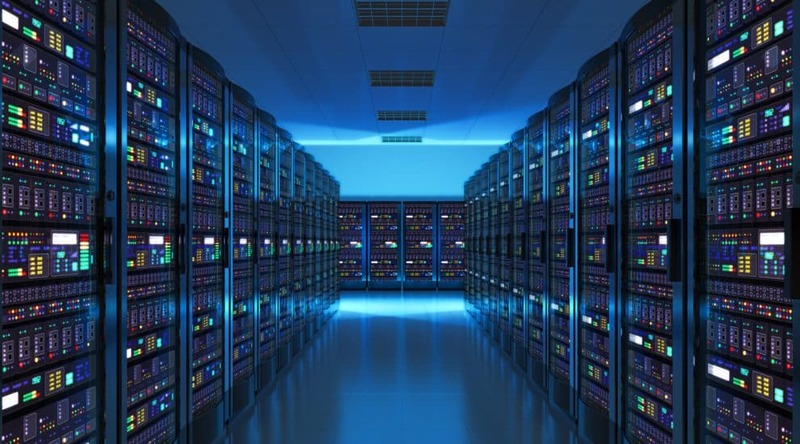 Taking that into account, you want to find a suitable location for storing your mining rig. Usually that means keeping your living and mining spaces separate unless you want to use your miner(s) as heating for your home. Depending on how hot your mining setup gets, you might need fan(s) or other cooling equipment. Learning the concepts behind mining cryptocurrency is easy, but in practice it’s actually quite a difficult operation. 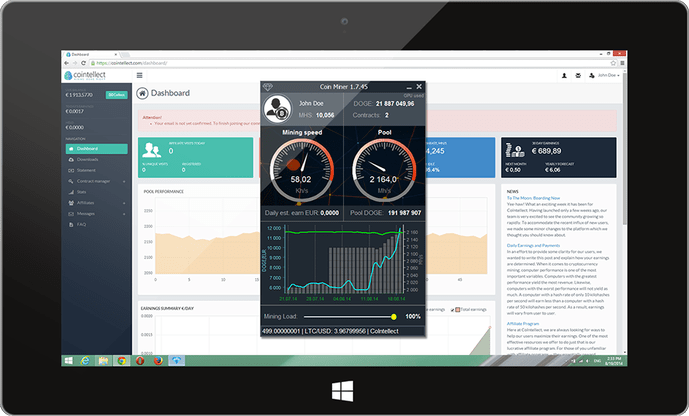 Before going in, you should know how to mine, setup your equipment, and manage the mining process. You’ll also need to stay on top of the latest cryptocurrency developments and habitually tinker with your setup to maximize efficiency. So why do people mine cryptocurrency? Mining cryptocurrency can be fun and rewarding for those who are passionate about cryptocurrency. If cryptocurrency becomes more adopted by the mainstream, you, as a miner in the “early days”, stand to benefit. The cryptocurrency you mine today might be worth a lot of money down the line or could be used instead of fiat (USD, etc.) to purchase goods and services. No one knows what the cryptocurrency market will do next – it could crash at any time and the market fluctuates dramatically. If you can manage to scale up your mining operation and become profitable, then you’ll become your own boss. However, this is a difficult operation that requires a lot of skill, expertise, upfront costs and experience. Not everyone is mining cryptocurrency for the money. For some, mining is a passion. For others, they truly want cryptocurrency to succeed and they’re willing to help by validating transactions. 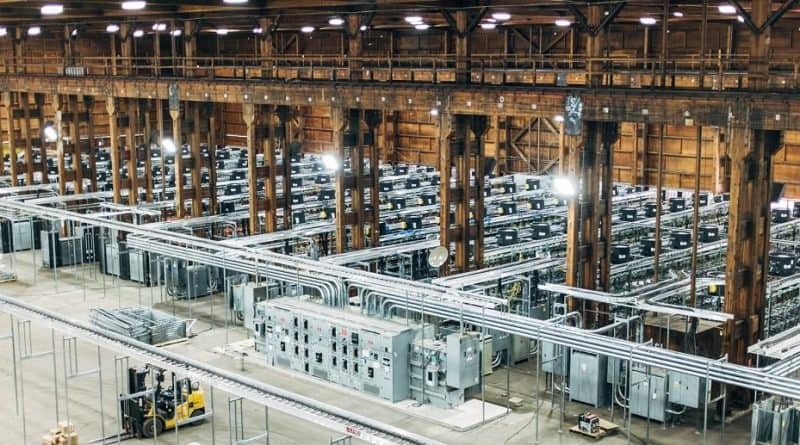 Mining cryptocurrency uses a lot a lot of energy. In fact, Bitcoin mining uses more energy per year than the country of Switzerland. While the early days of Bitcoin mining were considered a ‘gold rush’, mining has become exponentially more difficult. This goes for other cryptocurrencies as well. For example, as more Bitcoin is mined, the formula to mine another BTC will become increasingly more complicated, less rewarding and harder to crack. Therefore, it’s becoming more time, energy and resource intensive. This is one of the reasons why mining pools are becoming more popular. And if you’re like this cryptocurrency miner, your housemates might not like the extra noise! This is often overlooked but it’s still an important factor to consider. Mining hardware, such as ASIC chips, can be expensive, which limits the ability of some people to mine. Before you’ve even begun mining, you have to be willing to spend the upfront costs. Then it can take a few months/years to recoup what you’ve spent. The profitability of cryptocurrency mining is largely predicated on cryptocurrency prices. Since cryptocurrency prices are very volatile, miners could potentially go under if cryptocurrency prices were to plummet. You should be aware that cryptocurrency prices are extremely volatile, unpredictable and prone to a market crash. While there are mining profitability calculators for various cryptocurrencies, these calculators merely provide estimates and aren’t guarantees of profitability. It could take months or even years to become profitable. Plus it depends on which cryptocurrency you mine, and the currency market prices. And because of the energy consumption of mining cryptocurrency, your profitability depends on where you’re located too. Take a look at the chart below for example. As the world of cryptocurrency has evolved, so have the strategies for mining cryptocurrency. In fact, other models of validating transactions and coming to consensus about transaction records are becoming increasingly popular. 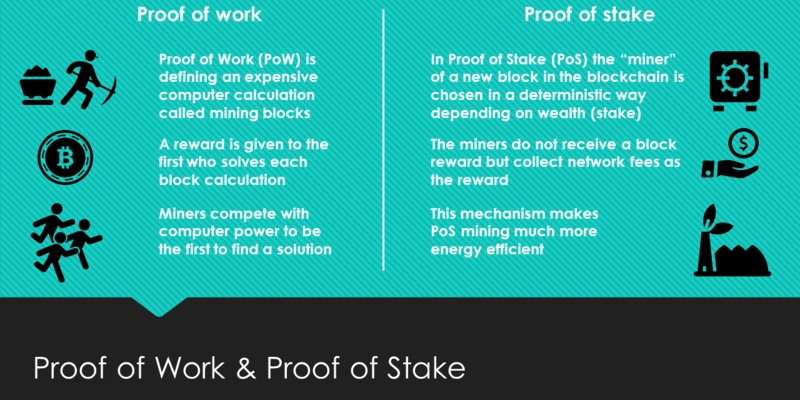 While Proof of Work involves creating new blocks with work (computing), Proof of Stake involves creating new blocks with stakes (or share) in a cryptocurrency. This means that unlike Proof Of Work, there’s no block reward. Also, Proof of Stake doesn’t have miners, it has validators. And this process doesn’t involve mining – instead there is minting/forging. Validators (Proof of Stake equivalent of miners) are ‘randomly’ chosen to validate the next block instead. The bigger the stake someone holds of a cryptocurrency, the more likely they’ll be chosen as a validator. Examples of cryptocurrencies that use the Proof Of Stake model include Nav Coin, NEO and NXT. This is the main draw of Proof of Stake. The Proof of Work model demands huge amounts of energy to secure the network. Proof of Stake doesn’t require this, and therefore there aren’t the same extreme energy costs and consumption as with Proof of Work. The rise of mining pools, where groups of miners pool together to increase their chances of a block reward, is creating more centralization. And this goes against the ideals of cryptocurrency. Whereas with Proof of Stake, validators are incentivised to setup separate nodes by holding their coins. This creates more decentralisation across the network. With the Proof of Stake model, validators are incentivised to hold more of their cryptocurrency. It’s a way of earning more rewards ‘passively’. With cryptocurrency mining, wealthier miners will benefit more because they have the resources to build huge mining farms. Essentially, they’ll have be able to reap the benefits of economies of scale. And this means the ‘smaller fish’ will struggle to compete. Whereas with Proof of Stake, larger stakeholders may be rewarded more, but smaller stakeholders are rewarded too. The distribution of wealth is more even (on average). If someone came along and bought the majority of a coin’s tokens, they’d be able to manipulate the blockchain and stop it from validating properly. This is known as a ‘51% attack‘, and in theory it means validators could control the blockchain. However, it’s highly unlikely because of the large market capital required. Every time a coin is bought on the market, the price increases. Therefore, it would become extremely expensive to get a 51% majority share. With Proof Of Stake, the more tokens you own, the higher the chances of a reward. The problem with this is that the rich gradually get richer, especially if they keep re-investing. This leads to more centralization, as wealthier stakeholders hold more and more of the tokens. As we’ve discussed, mining cryptocurrency is becoming increasingly more complex and expensive. Personally, I’d say there’s no right or wrong cryptocurrency to mine – it depends on your resources, your overall goal and why you’ve decided to mine cryptocurrency in the first place. However, I’d recommend only ever mining a cryptocurrency you truly believe in. You can compare hashrates, block times and exchanges rates between each cryptocurrency here. Essentially, GPU allows cryptocurrency mining to become more efficient. In the early days of cryptocurrency, mining could be done with very basic computing equipment. But now it’s become more complex, resource intensive and most computers don’t have the processing power to complete transactions. Graphic Processing Units (GPU) are more powerful devices, especially when compared to standard computers fitted with CPU. Therefore they’re more suited to mining cryptocurrency. It’s hard to calculate accurately but you can use a mining calculator like this to get a rough estimation. This really comes down to your economies of scale, the type of cryptocurrency you’re mining, market prices and the resources you have at the time. With the cryptocurrency mining expenses of electricity, hardware and maintenance, cloud mining has become a popular alternative. As a very simple explanation, cloud mining is basically like using a remote mining rig. People who want to invest in mining but don’t want to maintain a rig, will agree a contract with a cloud miner – sharing the processing power from their data centre. The overall aim of this is to make money. 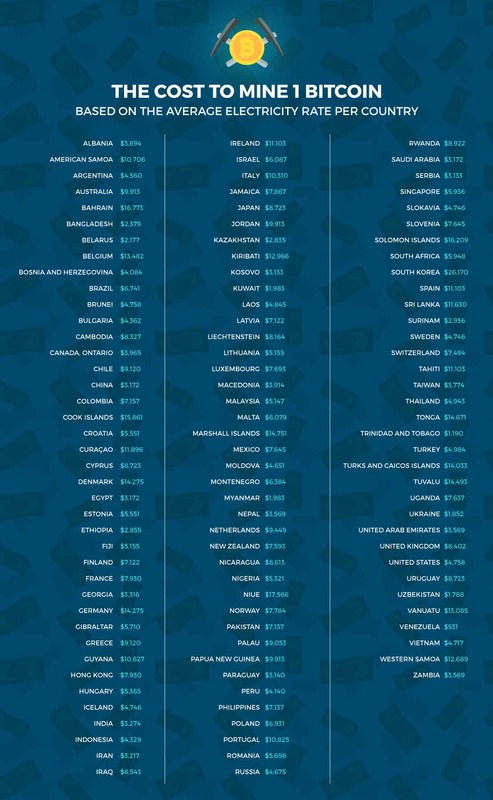 This really depends on the cryptocurrency, in terms of how many coins are in circulation and how many have been mined so far. So let’s take Bitcoin for example. As more Bitcoin is mined, the calculations to mine more BTC will become increasingly more difficult and time-consuming. So there are 21 million Bitcoins, and (at the end of April) there were only 4 million left to mine. The last Bitcoin is estimated to be mined by 2140.